Mr. Oakes has served as Executive Vice President, Chief Financial Officer, Secretary, and Treasurer of the Company and Executive Vice President, Chief Financial Officer, and Secretary of the Bank since October 2015. 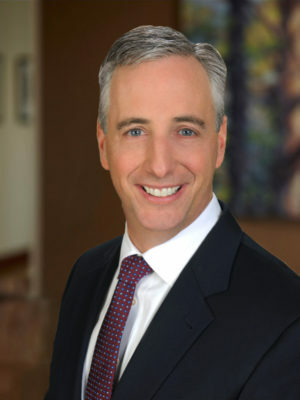 Mr. Oakes served as Executive Vice President and Chief Financial Officer of Square 1 Financial Inc. (“Square 1”) from August 2012 to October 2015. Prior to his employment with Square 1, he served as Executive Vice President and Chief Financial Officer of Encore Bancshares, Inc. from 2011 to 2012 and Senior Vice President and Treasurer of Sterling Bancshares, Inc. from 2003 to 2011. Mr. Oakes is a Chartered Financial Analyst. He received his undergraduate degree from Texas A&M University, and his MBA from Richmond, The American International University in London.